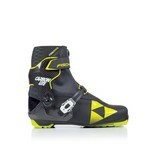 A high performance skier needs a high performance boot! 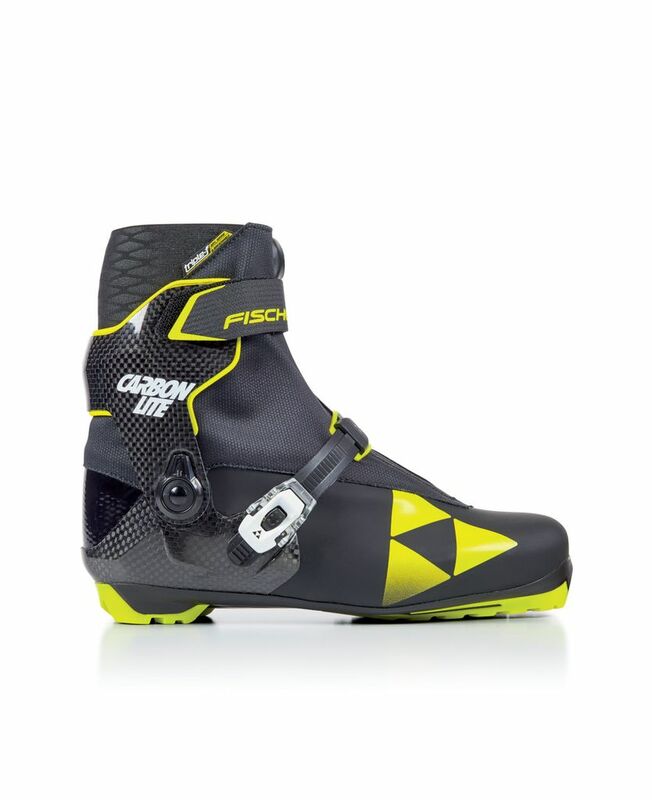 With a full carbon chassis, carbon cuff and a stiff toe with progressive flex, the Carbonlite is made for the fastest skiers in any race, from High School Nationals to the World Masters. When you've been dominating the nordic ski business for as long as the World Cup has existed, you have plenty of room to experiment. The Carbonlite series of products comes from a generation of athleticism, chemistry and expertise to bring you the fastest products for the fastest skiers. 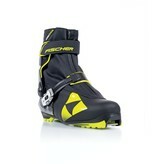 Carbonlite is our go-to for the maximum performance, and the Fischer Carbonlite Boot is the foundation. From the two-piece full carbon fiber sole to the Breathable Triple-F membrane gaiter, this boot is the ultimate balance between extreme race performance and foot comfort. By splitting the sole into two parts, Fischer allows an accurate progressive toe flex and an unyielding torsional stiffness for precise edge placement on any snow condition, from bullet-hard to fresh corduroy. And to make sure that same technical accuracy translates through the entire lower leg, the chassis is connected to a molded pure carbon fiber cuff. Connecting the cuff and the chassis is a low-friction rivet for a perfect fore/aft rotation. And over the top, for extra power and heel hold, a ratchet instep strap tightens over the top of the foot. On the bottom is a lightweight Rottefella Xelerator New Nordic Norm sole, compatible with any Rottefella NIS brand or Salomon Pro Link bindings. The Fischer Speed Lock lace system, easy entry loops, velcro strap, zippered integrated lace gaiter are all comfort features that add to the boot's usability without adding any weight! 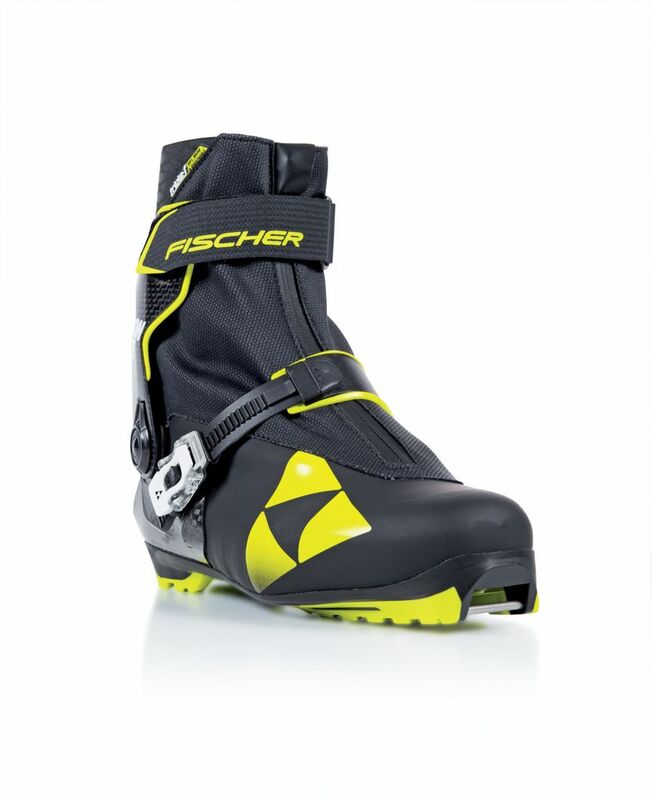 Fischer distilled the needs of racers all ages, High School to Pro, into a boot built with the most comfort in the lightest package available.